My boyfriend and I had the privilege of being guests of Sara Matera and staff at Bellafonte Luxury Oceanfront Hotel recently. As a travel professional, it’s imperative I inspect properties each year so I can be sure to deliver the very best product to my clients. With the advent of online booking, it’s important I stand out so that my clients return year after year. To insure I offer the best product possible, personalized service includes quality review of each property. Over the years, I have booked many discerning guests at Bellafonte. 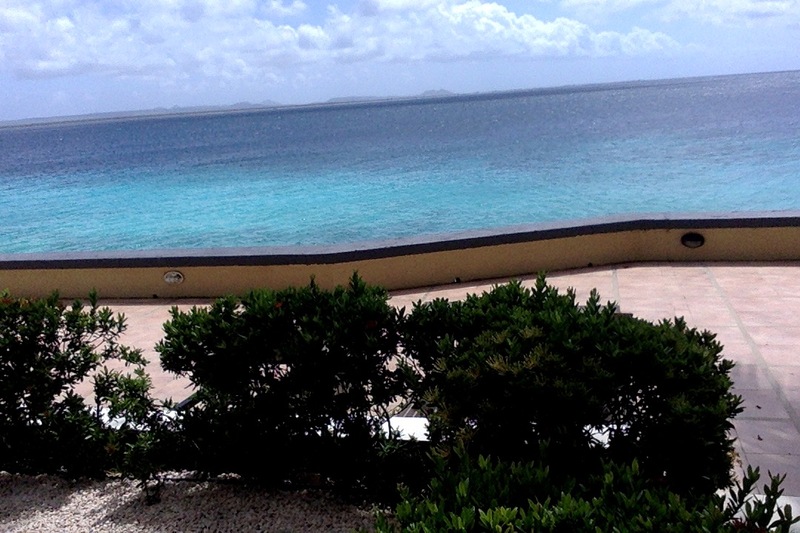 it is one of Bonaire’s few high end properties on the sea. I had the wonderful opportunity to have a “stay-cation” at Bellafonte. I live across the street, so packing and moving over for our two night respite was relatively easy. Sheila Marie, one of Bellafonte’s amazing front end staff, welcomed us warmly. We were treated to oceanfront splendour in one of the amazing senior suites. From our welcome, to the end of our stay, we were made to feel, oh so special. We checked in mid week this summer for a two night stay. Upon arrival, the General Manager, Sara had a bottle of wine and a warm welcome note for our arrival. The fridge was stocked with cold water as well. Our patio opened up to sea views and gentle trade winds. Inside, the amenities were top notch. My boyfriend loved the Expresso machine. The full kitchen was perfect for meal preparation as well. Some properties are not well stocked with glassware and dishes but our unit was well appointed. Our special place was the massive patio that had a table for dining and two comfy chairs for reading and relaxing. 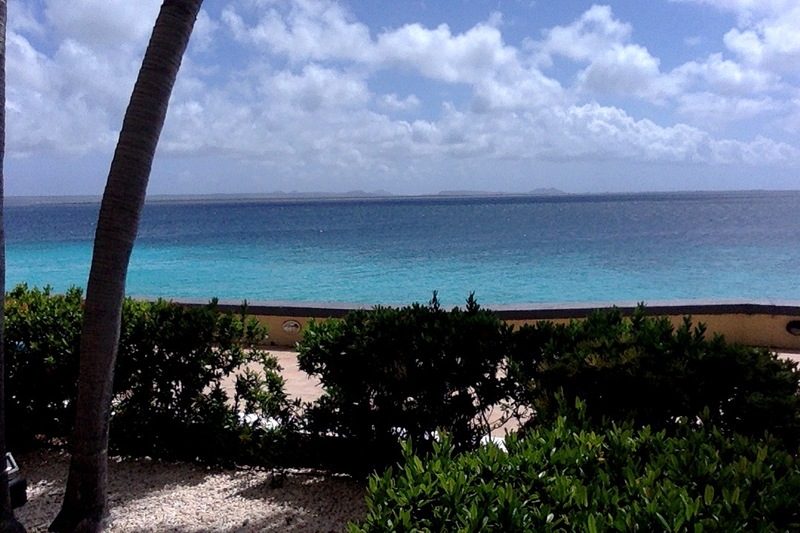 The sweeping views of the Caribbean blue were amazing. Of course everyone comes to Bonaire for the sea. Over the years, I have enjoyed visiting the property when guests arrived. Last Christmas, I booked a Junior Suite for my daughter and her boyfriend so we enjoyed three days of sunning and snorkeling on the massive seaside deck. This spot is nothing short of magical. The comfy turquoise cushions on large sun beds were perfect for sunning and napping. Snorkeling off the deck was amazing. Drifting south, we saw a plethora of sea life including coral heads and colorful fish. The best time is at night, sipping wine on the deck, under the stars. Pure heaven. This intimate property features 22 luxury privately owned apartments. The furnishings are high end. The bedding and towels are cotton comfortable. There is AC throughout each unit. The property features free high speed internet, private terraces or balconies, dive gear storage and rinse tanks, outdoor showers and 24/7 reception and night concierge. The close proximity to south shore dive sites, windsurfing, kite surfing, the airport and town, make Bellafonte one of my client’s favorite properties. The King of Holland and his family recently enjoyed a stay at Bellafonte. To book your stay, contact Caribbean Wind & Sun Vacations. I will hand pick a unit for your stay. Email ann@bonairecaribbean.com. They offer free Concierge, vehicle rental, windsurf or dive gear rentals and tour planning. 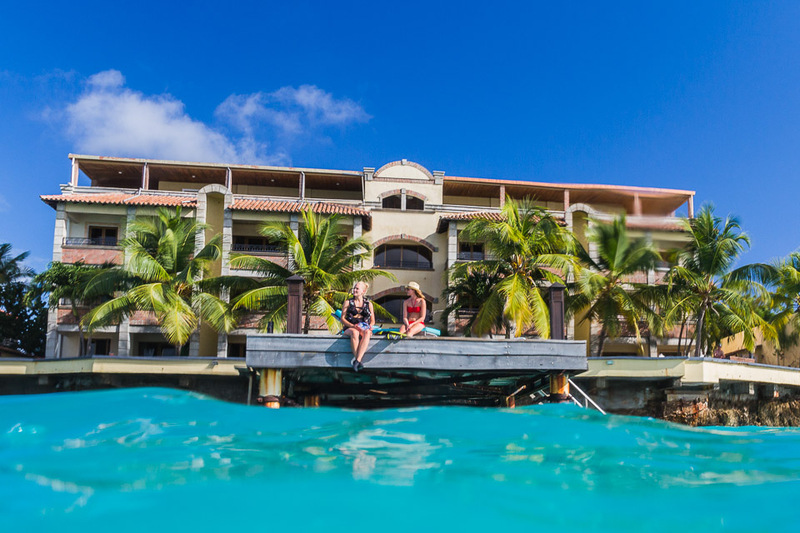 When booking Bellafonte, ask for the Bonaire Bliss Discount when mentioning this blog post. New bookings for 2015 will earn 5% discounts off room stays. When considering your vacation, if you seek a comfortable high end property, look no more. 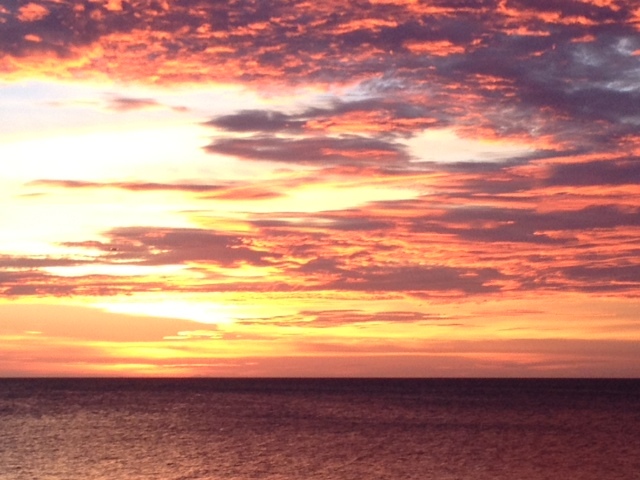 The sunsets alone are worth a stay at Bellafonte. October through March is our rainy season. 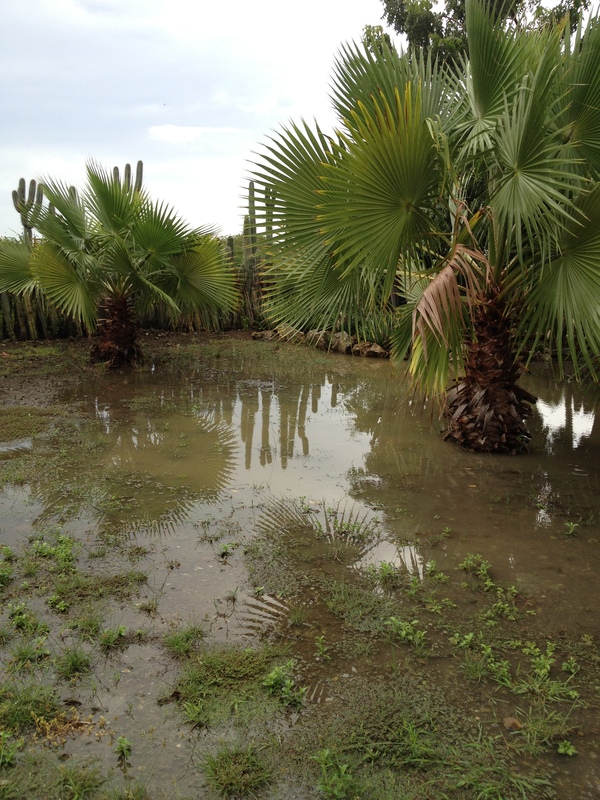 Compared to islands on the Eastern Caribbean chain, our rainfall is paltry, about 16 inches a year. Still, when it rains, I get quite excited. I am a New Englander so am accustomed to weather change. We need the rain for our parched landscape, for the feral animals and wild donkey population and our gardens. Soon, the trades return and the rains dissipate making perfect windsurf weather. I am entering my 26th season booking trips to the Caribbean. I wish I kept track of the numbers of amazing clients I sent to paradise. So many stand out for various reasons. My honeymoons are favorites. 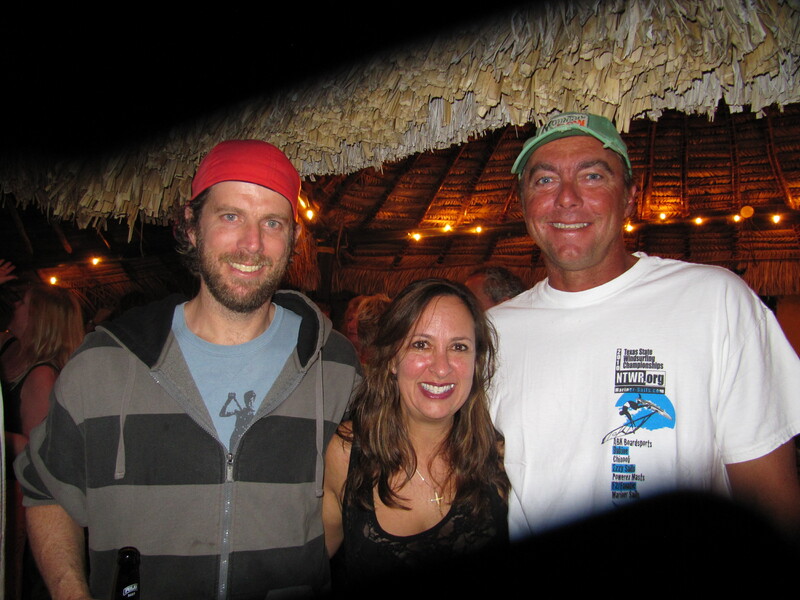 As a windsurfer, I enjoy when lovers of the sport go to Bonaire for the first time and come back ready to book for the following year. The 20+ years of booking Antigua were some of my best years in the industry. I also have bittersweet memories of the 5 years I booked villas in Montserrat. That business came to a screeching halt in 1995 when Soufriere woke from a 400 year sleep. Some folks ask will it rain every day in Bonaire. It’s very rare but October tends to be the wettest month in my recollection. Soon, end of November the Christmas trades start to build and by mid Dec. we are back to the lovely winds Bonaire is best known for. 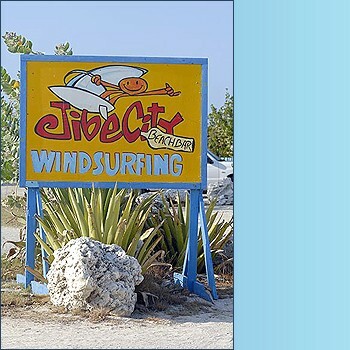 Jibe City and Caribbean Wind & Sun Vacations have teamed up to offer 2012 Annual Summer Kids Camps. The 3 day camps run July and Aug. 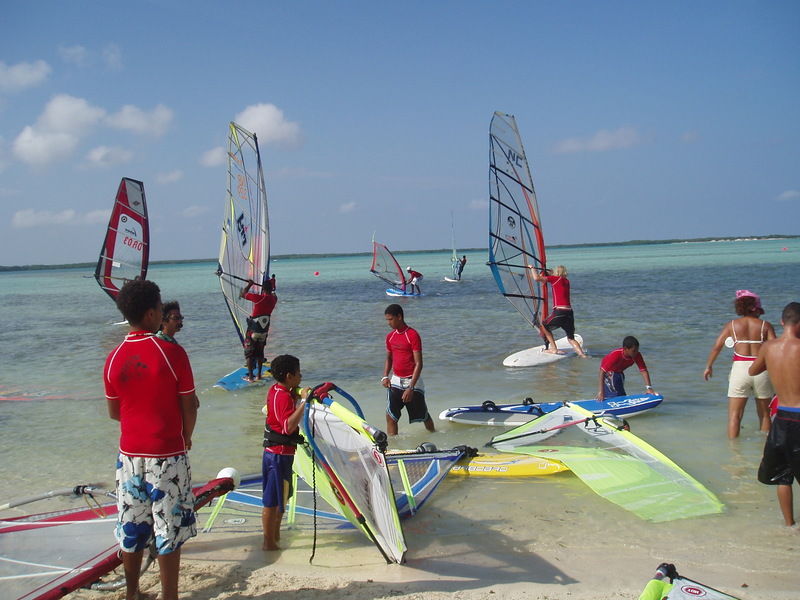 Priced at 200.00 per child, kids ages 7-17 can learn to windsurf or hone their skills. The 3 x 3 lessons commence 9:30-1:30 each day. Lunch is included as well as Nature Fee and T Shirt. Lac Bay offers superior conditions for kids to learn. 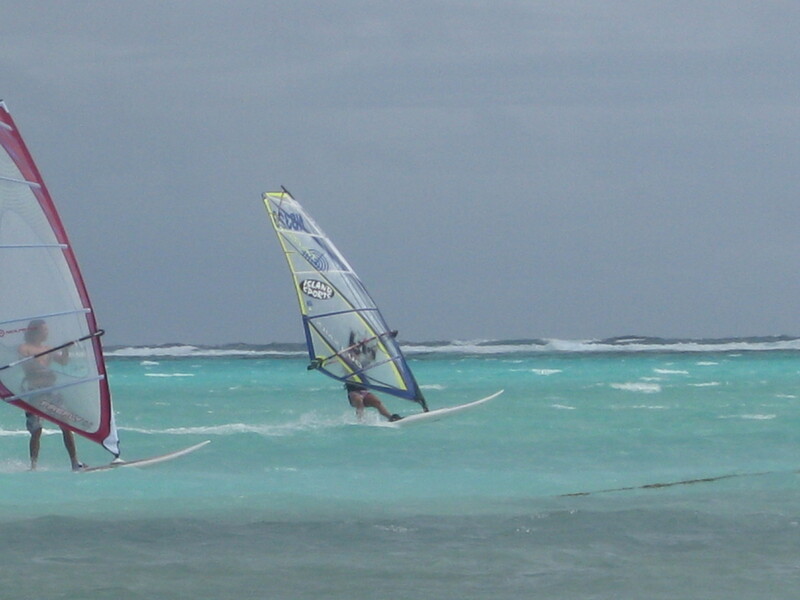 With shallow crystal clear warm water and on shore winds, it’s the perfect setting to windsurf. Contact ann@bonairecaribbean.com to book your kids camp and accommodations as well as family packages. The Christmas trades returned after months of no wind in Bonaire. I have a 4.2 2005 Gun Sail that’s rigged and ready for special occasions. I cannot think of a better occasion than when it’s gusting past 30. With my 85 liter Angulo Chango I was ready for day 2 of survival sailing. The chop in the bay was pretty intense and the gusts making for full on overpowered conditions. 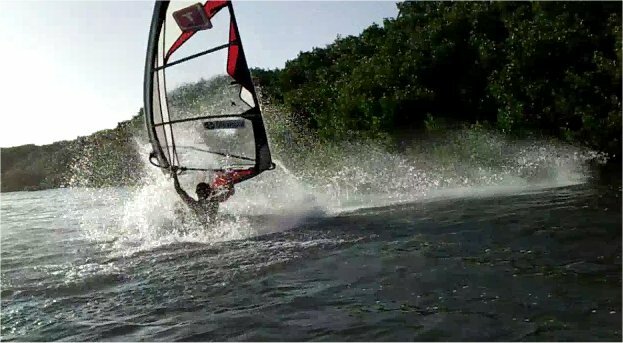 I prevailed and had another amazing windsurf session today.